I started this series back in 2012 when I was living in New York City, making portraits of specific areas by using the plastic bags that their businesses offered as the main material. We are currently living in a time where every day stores are going out of business and a lot of countries are starting to ban plastic bags. This is why by collecting and making collages out of the plastic bags of every city I have visited in the past six months, I get to frame a specific place in a particular time. 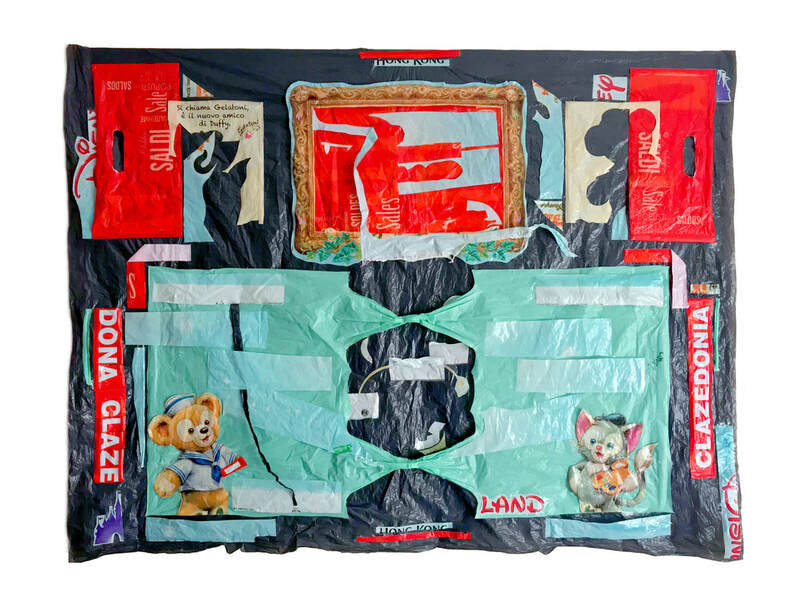 If the viewer happens to recognize some of the plastic bags, he might be able to guess the country and/or the year when the artwork was made. When I talk about trash bags in this way, it bring up the thought maybe these artworks will be exhibited not only in art museums but also in history museums to show future generations this artifact that past generations used to utilize to carry their belongings and purchases around.